In July traditionally, journalists and bloggers are invited to attend Christmas presentations. Though it's a bit odd to visit Santa's grotto in strappy T-shirt and to listen to Xmas carols when it's 23C outside, we all happily attend. Lakeland 50th anniversary recipe book £6.99. Favourite recipes from customers and contributions from a few of Lakeland's famous friends – Michel Roux Jnr, the Hairy Bikers and Mary Berry to name just a few. The collection contains than 60 delicious recipes, plenty of anecdotes and beautiful photography. Mark & Spencer Gin & Tea with Gold Flakes £11.99, the bottle with its amber liquid and gold flakes is the perfect present for G&T drinkers. Even if like me Gin is not your preferred drink, this Gin & Tea will convert you in no time. Turn up the volume on that 21 album, it might cheer me up as reading the rest of the survey* had me in tears. Concomitantly, new research carried out by Love Food Hate Waste and Mumsnet demonstrates that "As modern life becomes busier, and quick solutions become more favourable, we are at risk of losing valuable cooking skills and knowledge to pass on to the next generation." What is going on? the food scene is buzzing, there is cookery program of some sort, with a record audience, every hour, on TV, in the meantime Londoners are eating Nutella on toast standing up in front of their fridge! So where can we find inspiration? my lastest source of, was provided by Jeanne of Cooksister and a canapé served at an event promoting Canadian railways. Let's backtrack a little. He recently harvested the last of the tomatoes on the two plants which provided a bumper crop this year. Considering the neighbour has a monster 16+ feet tree by the fence which completely over-shadows our garden, we were able to make the grand total of two red tomato salads and the same amount of green tomato chutney. Here come part two of the inspiration, at a press event as the canapés were doing the rounds, a tiny little tart with deliciousness on the top attracted my attention. After inconspicuously poking at deliciousness, it was decided that it contained goat cheese topped with chutney. Genius doesn't come into the assembling of such but served with fresh veggies that is a quick dinner worthy of a mention. You'll need one tartlet tray or a small pie tray. 150g of ricotta (failing ricotta) use 4tbsp milk to loosen the goat cheese. Grease the tray with a little oil, place the pastry in, top with cheese mixture. If Maison Cupcake first soya experience was in the 80's in the form of "bean feast" a recurring dish at her mum's table, ours at Pebble Soup happened about at the same time while trekking in the Golden Triangle. We camped outside villages. In the evening we used people's open fire to cook our meals. One night our Burmese guide magicked tofu, that night, we went to bed persuaded to have eaten a delicious wild animal. That's what happens when you taste blind something you never had before. Alpro is running an Inspiration Campaign which is bloggers led and opened to all to participate, have a peep at #Alprotops and see what you can magic. Next came Muffins - Strawberry soya yogurt, chia seeds a new one on me. Chia seeds are tiny black seeds from the plant Salvia Hispanica, another one with nutrients galore. and how nice it was and last but not least, armed myself with a large spoon and polished the pot. Food blogging is many things. It's likely that there are as many reasons to write a food blog as there are food bloggers. The question is "what are we recording"? 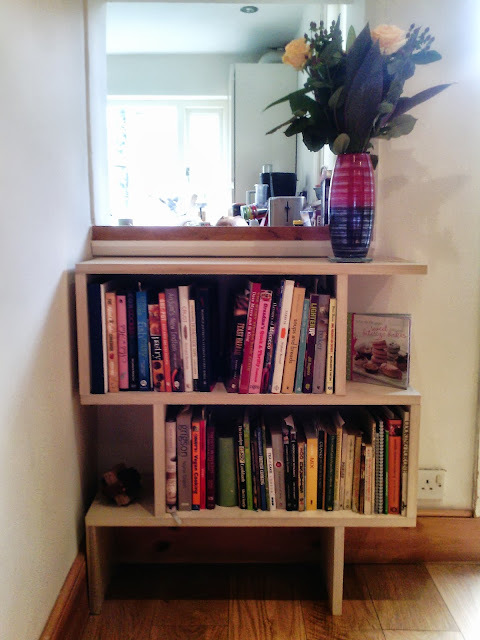 which is not already recorded in our cookbooks collection. My own answer is that we are recording stories we love, which show who we are such as The Curious Tale of the Gingerbread, stories which connect dishes with their own history and ultimately stories which connect each one of us to the other. In researching Gingerbread cakes, I came across this anecdote which is set in France, in the 19th century and shows how important gingerbread was then. Mr Thiers, one of the French Prime Ministers at the time, declared : " no man can call himself great until he gets his effigy made out of gingerbread" That important! I wonder what their gingerbread tasted like in these days. Probably not like a Fochabers' as this recipe is quite unique with its beer, dried fruits and candied peel. 2- Measure the bicarbonate of soda into the beer, stir it and set aside. Stir all the remaining ingredients into the creamed mixture. Stir the beer mixture then pour it into the cake mixture, beating well until thoroughly incorporated. 3- Spoon the mixture into the prepared tin and smooth the top. Bake in the center of the oven for 1 hour. When the cake is cooked, a skewer inserted into the middle should come out clean. Leave to cool in the tin for 20 minutes then turn out on to a cooling rack and leave until completely cold. Some cultures are luckier than others when it comes to Christmas traditions. 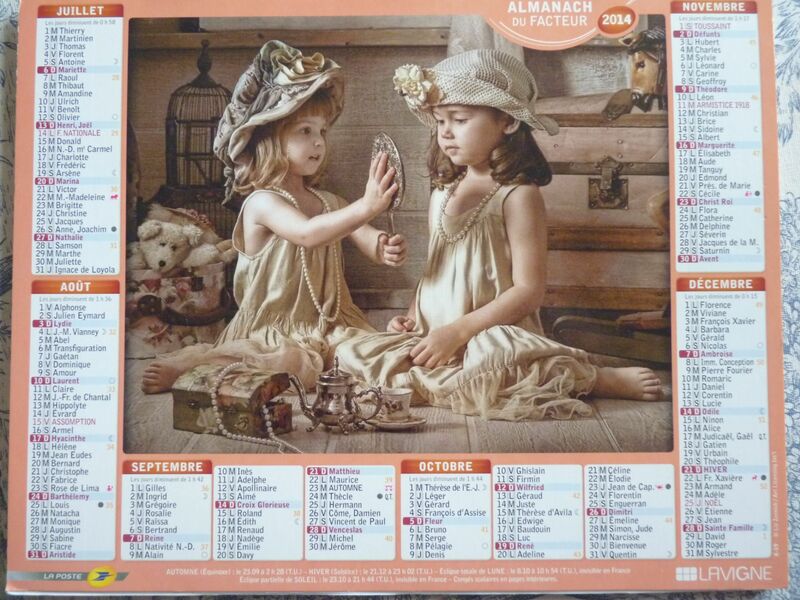 Growing up in France the only calendar we looked forward to was l'Almanach des Postes. A piece of cardboard with an old-fashion picture in the center. Children have the privilege to choose which picture will adorn the wall in the kitchen or the loo. The choice is limited, sweating donkeys with heavy loads on their back, young 19th century lady in négligée, that was my dad's choice if I happened to be at school when the postman pop in for his annual tip and the sale of the horrid calendar. First time I heard about an advent calendar was through a friend from Lille. Allegedly the advent tradition was strong in the north. Almost enough to make me pack my baby rucksack and move. I have since made up for lost time and it's with glee that this year, I am sharing the advent calendar good fortune with one Pebble Soup reader. 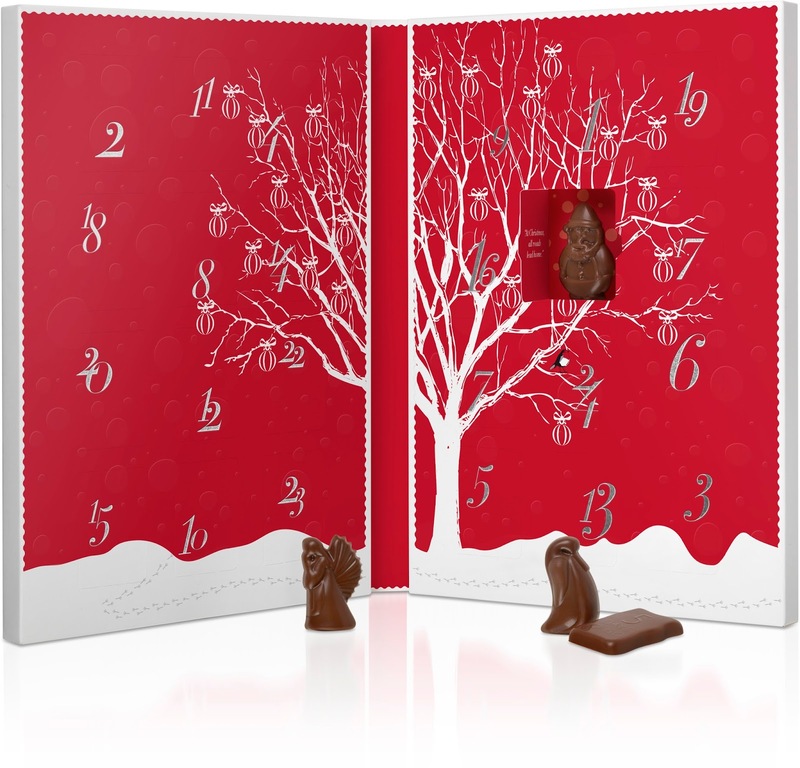 The countdown to Christmas begins with this beautiful Hotel Chocolat advent calendar. Featuring 24 fabulous Christmas sculptures, including reindeer, snowmen, penguins and enchanted Christmas trees, to name just a few. The winner will have the choice of one milk, dark or white chocolates. 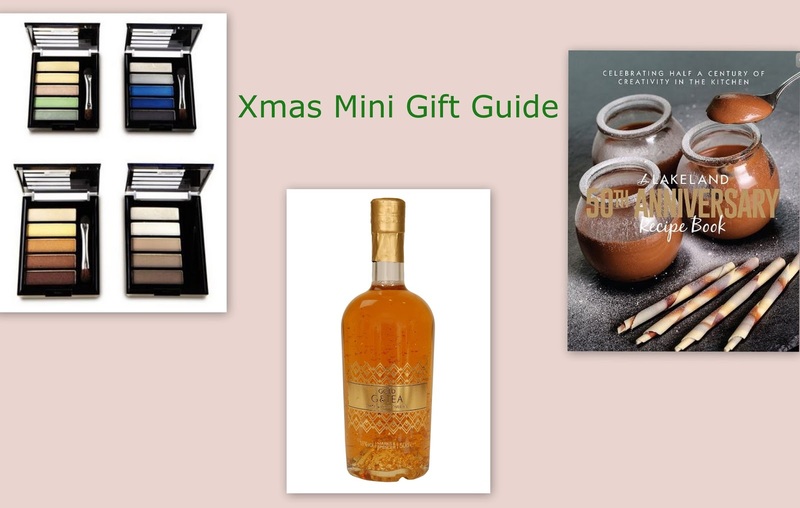 1 – Comment on the blog Leave a comment below, sharing your favourite Christmas chocolates. Mine is definitely orange peel. One Winner will be selected via digital Randomiser shortly after closing date and announced on Twitter and on this page. Only one entry per category per person, (1 comment, 1 twitter, 1 facebook) all entries will be verified. This give-away is open to UK residents only. The prize will have to be claimed within 3 days so please make sure you check your account for notification. HC calendar retail at £12.50, my thanks to Hotel Chocolat for providing one complementary for the purpose of this post.